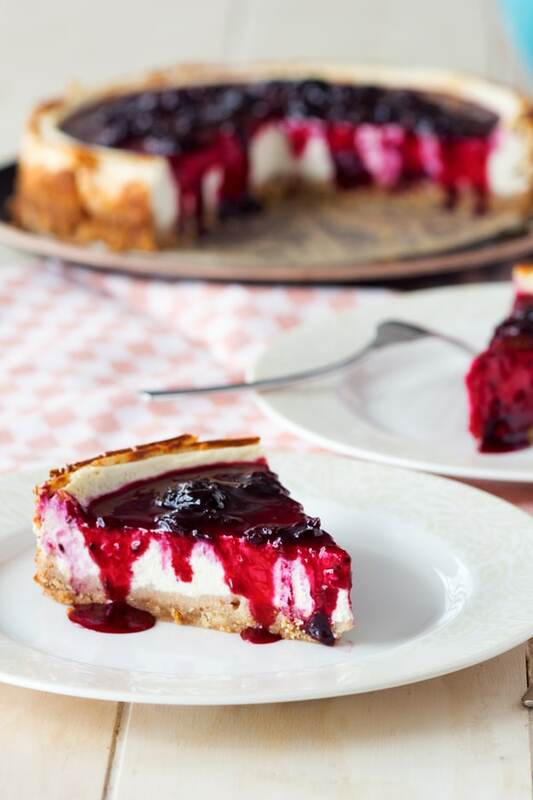 Sometimes people ask why I like to take something that’s perfectly delicious (like a classic cheesecake) and change it (in this case, to a healthy cheesecake with cottage cheese). Often, I just like to see what I can get away with. Did I say this Beet Muffin was actually red velvet? Oops! I made this swap to cottage cheese though because I’m trying to find a way to add more cottage cheese into my diet. Cottage cheese is high in protein, vitamins and calcium, all of which are a good thing to include in a breakfast. Prior to the 1980s, cottage cheese overshadowed yogurt sales and was tooted as a health food. But halfway through the 1980s, yogurt took off and left cottage cheese sales in the dust. While yogurt consumption has increased 7 fold, cottage cheese consumption has halved (read more about the trend from NPR). I remember eating cottage cheese as a kid every time I went to a self-serve salad bar. I’d always have it with melon and pineapple, and it was really tasty. At some point, I started eating a lot more yogurt instead of cottage cheese. 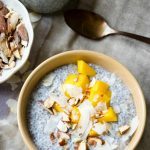 I seemed to have forgotten about cottage cheese, until I became pregnant and I started scouring the Internet about what health foods I should eat. 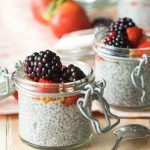 Cottage cheese appeared on almost every list of ‘best foods for pregnant women’ because it’s high in protein! 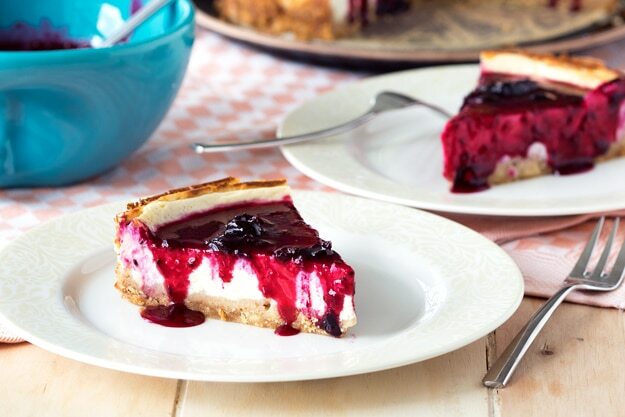 After multiple tubs of cottage cheese with fruit and toast, I started craving something new and knew I needed to make a healthy cheesecake with cottage cheese. When I shared this cheesecake, no one even noticed that instead of cream cheese in it, I made it with cottage cheese and greek yogurt. It’s much higher in protein than a classic cheesecake, and to me, that’s a thumbs up because our baby (you can read about him on my husband’s blog) is getting nutrients while I’m getting a slice of heavenly cheesecake. 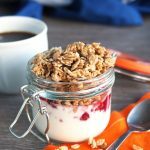 If you want to make this even healthier, you can use the spelt crust from this Breakfast Greek Yogurt Cheesecake, and top it with granola and fresh fruit instead of jam. Good morning to cheesecake! 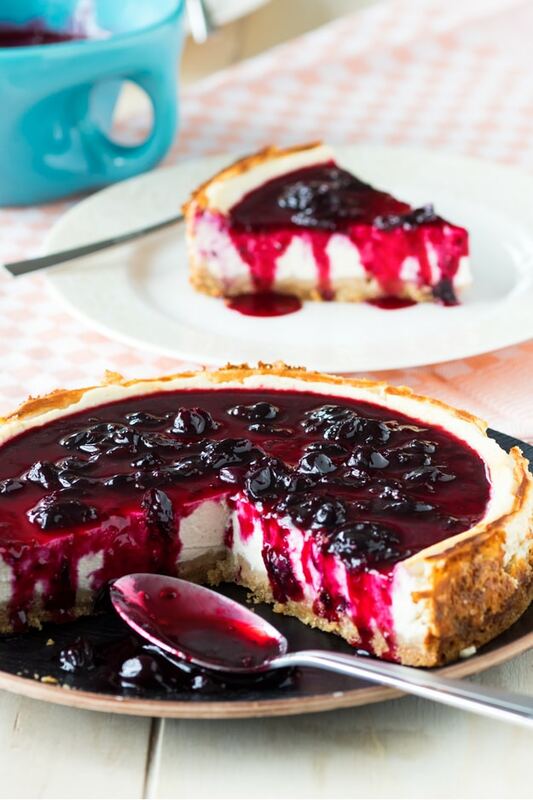 This healthy cottage cheese cheesecake is topped with black currant jam in the photos. 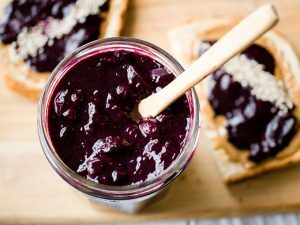 But if you would like a healthier topping, try using this Easy Blueberry Jam with Chia Seeds (the jam is made with no refined sugar). 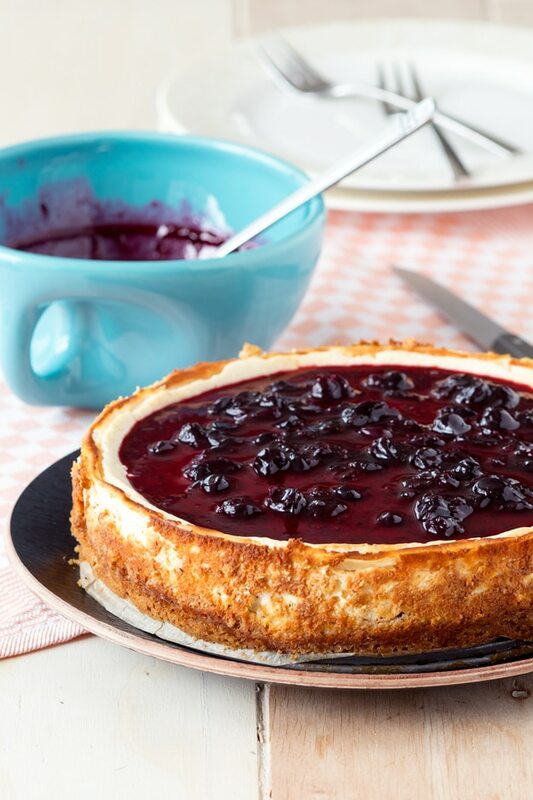 Surprise yourself with a Healthy Cheesecake made with cottage cheese and Greek yogurt. It’s much higher in protein than a classic cheesecake, but you’ll never be able to taste the difference. Serve it with blackcurrant jam for a beautiful sweet tang. Line an 8-inch springform pan with parchment paper on the bottom. Oil the sides of the pan if it is not non-stick. Preheat oven to 350°F / 176°C. Gently press the crust into the lined pan. I find it easiest to use a small piece of parchment paper to cover my fingers, and press down on the crust. Set aside. 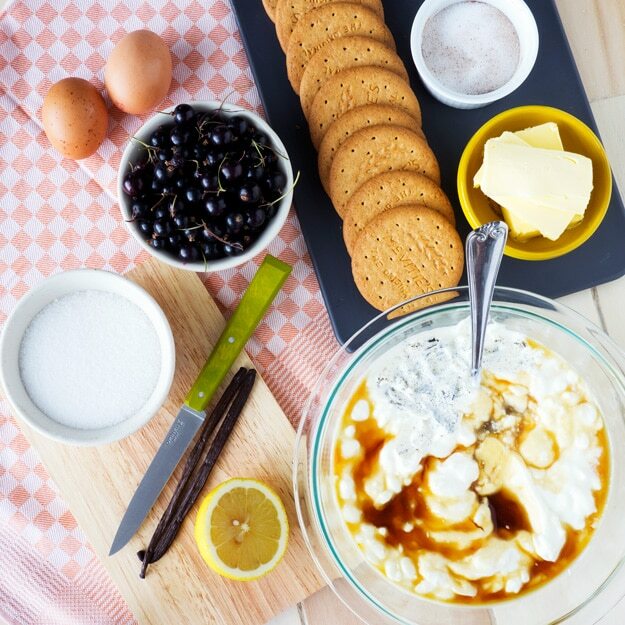 In a food processor or blender on low speed, blend the cottage cheese and Greek yogurt together until it is smooth. 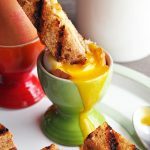 In a small bowl, beat the eggs together. Beat the eggs, maple syrup and flour into the cottage cheese mixture. Scrape the seeds out of the vanilla pod and mix into the cheesecake. Pour everything into the pan. Bake in the oven for about 1 hour, until the cheesecake is set. In a medium saucepan, mix everything together. Bring to a boil, then reduce the heat to medium-low. Cook for 10 minutes, stirring frequently. Allow to cool before topping on the cheesecake. The cheesecake is best chilled, or at room temperature. Sorry if it’s a little late but is there a way I can do all of this but just use blueberries?? 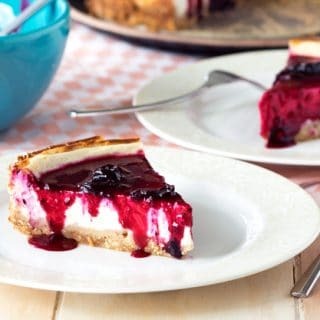 Also would it be possible for me to blend blueberried with the filling to give it more ot a blueberry taste and color?? If so, what fruit topping would you say would be better to go on top to make a sauce for it ? 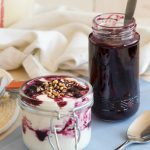 Is this recipe made is plain fat free Greek yogurt and fat free cottage cheese? That is what I usually eat and just wanted to make sure. Thank you! 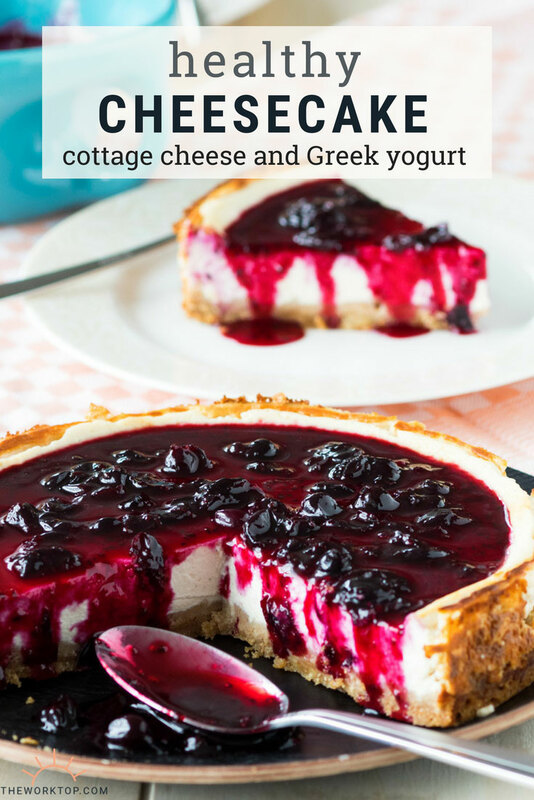 Hi Deyshawn, I always make this cottage cheese cheesecake with full fat Greek yogurt and cottage cheese. 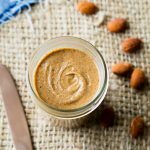 However some others in the comments have had success using fat free versions. I can’t say I’ve tried it, but it sounds like it would be fine to use. Enjoy! I made this as a birthday cake for 24 children (doubled the recipe!) they loved it! I don’t think they knew how good it was for them either! 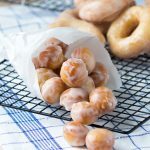 Thanks Ill use this recipe again… I think Id add a bit more maple syrup to the cheese cake filling as it was a bit too savoury tasting for some, but a great balance with the jam anyway. Hi Karena, that’s such a great idea to use this as a birthday cake for children! I’m so happy to hear they loved it. Hi Tina! Thank you for this great, creative recipe! I am excited to try it out! 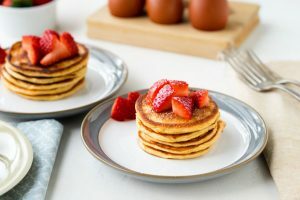 I was wondering if is possible to replace the Greek yogurt with regular plain yogurt and if I could use cane sugar or sucanat instead of maple syrup. If so, how much should I use? 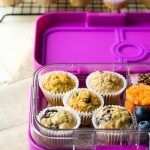 Thank you for sharing your recipes and for the feedback! Hi Keila, I haven’t tried baking this cheesecake with plain yogurt and cane sugar instead. If you do give it a try, please do let me know how it turns out! 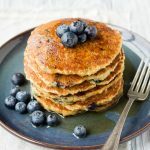 They do make up a significant portion of the ingredients, so you might need to do a bit of finessing. Hi Tina. It’s my first time making cheesecake (ever) and I love your recipe. I stumbled on it googling for cottage cheese recipes as I want to finish what’s about to expire in the fridge. I’m very happy it turned out well. And, I’m the type who eats the full-fat version of everything but this surprised me pleasantly! I used honey instead of maple syrup… and the cheesecake was a bit lumpy (but i probably just overcooked it…and I used a small toaster oven). But the taste is just perfect. I didnt even have to put any toppings! Hi Guia, thanks for leaving the comment and letting me know. 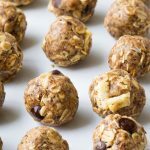 It made my day to hear that you loved the recipe!